A cooling side to any chilli-oriented dish. 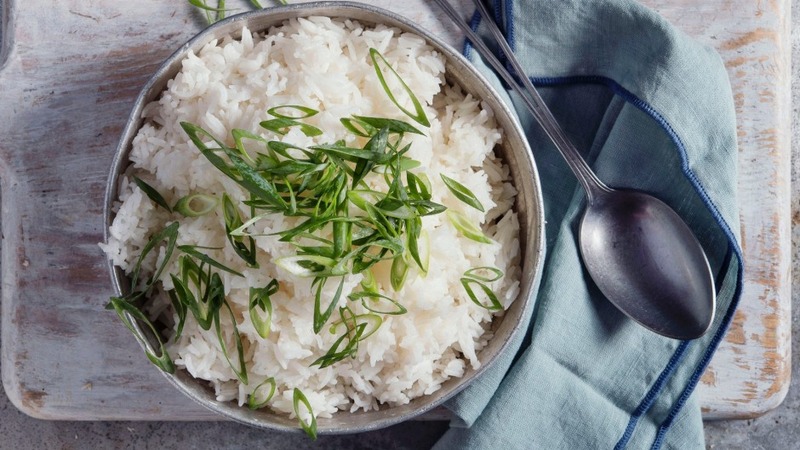 Wash the rice in a strainer and add it to a deep baking dish. Add the water and salt and cover with aluminum foil and bake in the oven for 45 minutes. When you take it out, fork the rice to aerate it and evenly distribute the coconut milk over the top. Sprinkle with the shallots and serve. Serve with sambal and chilli crab.